I have a complicated relationship with Sunny Randall. 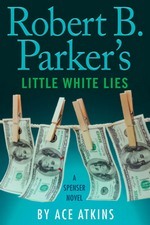 Readers of this site have been frequently exposed to my love for Robert B. Parker’s Spenser and Jesse Stone novels, both by Parker and the continuations by Ace Atkins and Reed Farrel Coleman (let’s overlook Michael Brandman’s contributions for the moment). I enjoyed his stand-alone works, and I thought the first couple of Virgil Cole & Everett Hitch books were fun (I haven’t tried the Robert Knott continuations). Which leaves us with Sunny. Sunny Randall, the story goes, was written to be adapted into a film series for Parker’s chum, Helen Hunt (incidentally, I’ve never been able to envision Helen Hunt in a single Sunny scene, but that’s just me). She’s a private investigator; a former cop; part-time painter (art, not house); emotionally entangled with her ex-husband, but can’t live with him; lives in Boston; and enjoys good food. But she’s totally not a female Spenser — she doesn’t like baseball, see? I’ve read all the books — some multiple times — and while I enjoyed them, I’ve never clicked with Sunny the way I have with others. Including every other Parker protagonist. Most of her novels are mashups and remixes of various Spenser novels, entertaining to see things in a different light — but that’s about it. Frankly, the most I ever liked Sunny was in the three Jesse Stone novels late in Parker’s run (but both characters are better off without each other). So when it was announced that Mike Lupica would be taking up the reins of this series I was intrigued but not incredibly enthused. I only know Lupica from having bought a few of his books for my sons when they were younger. 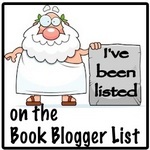 I didn’t get around to reading any of them, so he’s really a new author for me. And sure, I was a little worried about a YA/MG author taking the reins of a “grown-up” series. But not much — if you can write a novel, you can write a novel, it’s just adjusting your voice and language to be appropriate for the audience. 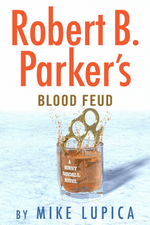 Enough blather — let’s talk about Blood Feud. Since we saw her last, Sunny has had to move, Richie (her ex-) has gotten another divorce (giving them the chance to date or whatever you want to call it) and has replaced her late dog, Rosie, with another Rosie. Other than that, things are basically where they were after the end of Spare Change 11 years ago (for us, anyway, I’m not sure how long for her, but less time has passed you can bet). 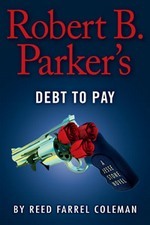 By the way — does anyone other than Robert B. Parker, Spenser and Sunny really do this? Your dog dies, so you go and get another one of the same breed and call him/her the same name? Is this really a thing? Then one night — Richie is shot. It’s not fatal, but was done in such a way that no one doubts for a moment that it could have been had the assailant wanted it to be. For those who don’t know (or don’t remember), Richie is the son of an Irish mob boss, although he has nothing to do with the family business. He’s given a message for his father — his shooter is coming for him, but wants him to suffer first. This kicks off a race for the shooter — Sunny, the Burke family and the police (led by Sgt. Frank Belson) are vying to be the one to find the shooter. Before long, the violence spreads to other people the Burkes employ — both property and persons are targeted by this stranger. It’s clear that whoever is doing this has a grudge going back years. So Sunny dives into the Burke family history as much as she can, so she can get an answer before her ex-father-in-law is killed. Not just the family history — but the family’s present, too. As much as the roots of the violence are in the past, Sunny’s convinced what the Burkes are up to now is just as important to the shooter. Richie’s father, Desmond, isn’t happy about Sunny sticking her nose into things. Not just because of the crimes she might uncover — but he really wants to leave the past in the past. But as long as someone might come take another shot at Richie, Sunny won’t stop. This brings her into contact with several criminal figures in Boston (like Parker-verse constants Tony Marcus and Vinnie Morris) as well as some we’ve only met in Sunny books. There are a couple of new characters in these pages, but most of them we’ve met before — Lupica is re-establishing this universe and doesn’t have time to bring in many outsiders, but really just reminds us who the players are. Other than the new Rosie, I can’t point at a character and say “that’s different.” He’s done a pretty good job of stepping into Parker’s shoes. Not the pre-Catskill Eagle Parker like Atkins, but the Parker of Sunny Randall books, which is what it should feel like (( wouldn’t have objected to a Coleman-esque true to the character, just told in a different way). I think some of the jokes were overused (her Sox-apathy, for one), but it wasn’t too bad. Lupica did make some interesting choices, particularly toward the end, which should set up some interesting situations for future installments. The mystery was decent enough, and fit both the situations and the characters — I spent a lot of the novel far ahead of Sunny (but it’s easier on this side of the page). I enjoyed the book — it’s not the best thing I’ve read this year, but it’s a good entry novel for Lupica in this series, a good reintroduction for the characters/world, and an entertaining read in general. If you’re new to this series, this would be as good a place to hop on as it was for Lupica. I want better for Parker’s creation (but I think I’d have said that for most of Parker’s run with the series), and Lupica’s set things up in a way that we could get that in the near-future. He’s demonstrated that he has a good handle on the character he inherited, the question is, what can he do with her from here? I was ambivalent about this series coming back, but I can honestly say that I’m eager to see what happens to it next. Series: Sunny Randall, #7eARC, 352 pg. This is a very mixed bag of an audiobook. I loved the novel 3 years ago, and enjoyed reliving it. But man, the narration was just not my thing. But I’ll get back to that in a bit. 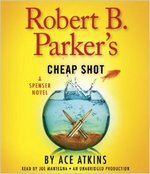 In addition to the main characters, Hawk, Susan, Sixkill, Tony Marcus, and so on; Atkins continues to show a command and familiarity with the impressive gallery of supporting characters in the Spenser-verse. And the new characters fit into the ‘verse just fine, nothing that Parker wouldn’t have created. Not only did Atkins give us a good story this time, he appeared to be planting and/or watering seeds for future books at the same time — something Parker never bothered with, but I’m glad to see. About the only thing I’d like to add on this front is that I think I liked the story more this time around. So much for the lovefest. I just didn’t like Mantegna’s work. I know, I know — he’s done many, many of the Spenser Audiobooks; Parker loved his work with Spenser (even getting him cast in those semi-regrettable movies); and he’s Joe bleepin’ Mantegna. Still, it didn’t work for me. When he was reading the narrative parts — Spenser describing what he was doing, what he was seeing, etc., even making smart aleck asides — I dug it. He did a perfectly entertaining job — maybe even more. But the strength of Parker’s work was his dialogue, and Mantegna fell flat (at best) on this front. Spenser sounds like Fat Tony, which just should not be. Ever. Kinjo sounds like a stereotypical old blues man, not a young NFL linebacker. Hawk sounds like a slightly younger blues man. And don’t get me started on Zee. That was just embarrassing. Most of the other characters were pretty poorly done, as well. And when the book is so reliant on dialogue, so reliant on the charm of the characters, that missing with just about all of them hurts. So, like I said, great writing, mediocre (when not disappointing) narration. 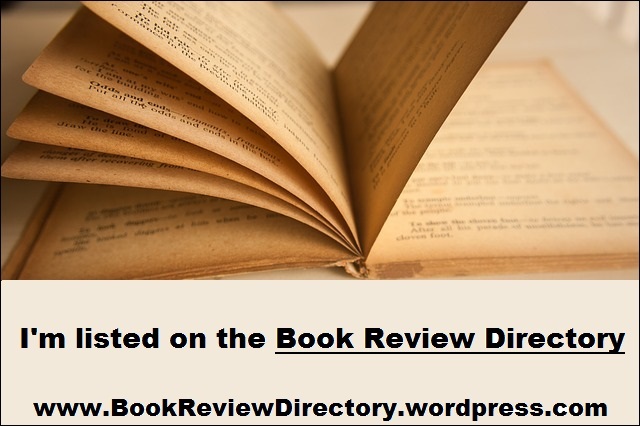 Please note this rating is for the Audiobook — the whole experience, the narration as well as the writing — still love the book, and would recommend the novel in a heartbeat. This? Eh. It was entertaining enough, but that’s it. Still, any time with Spenser is time well spent.